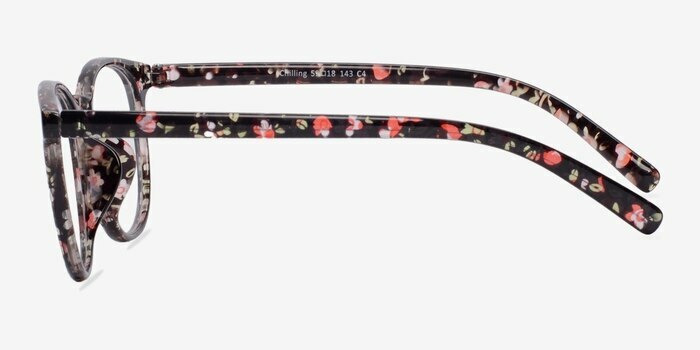 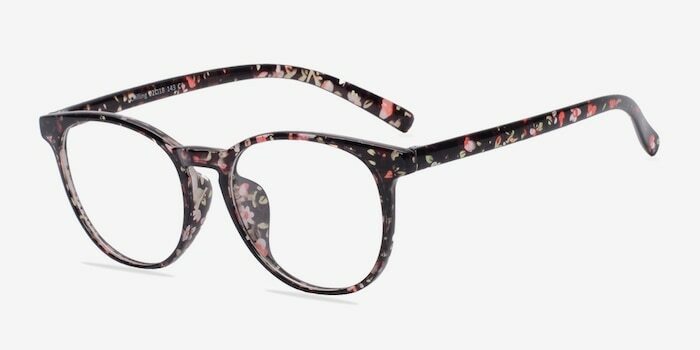 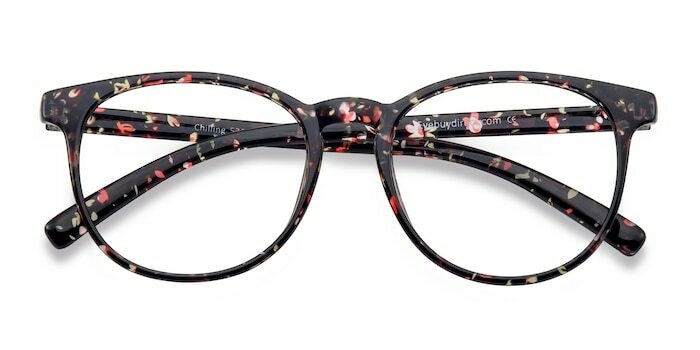 Be a naturally flirty with these red floral eyeglasses. 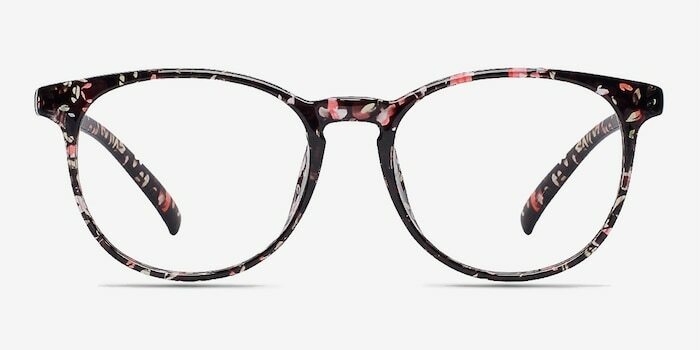 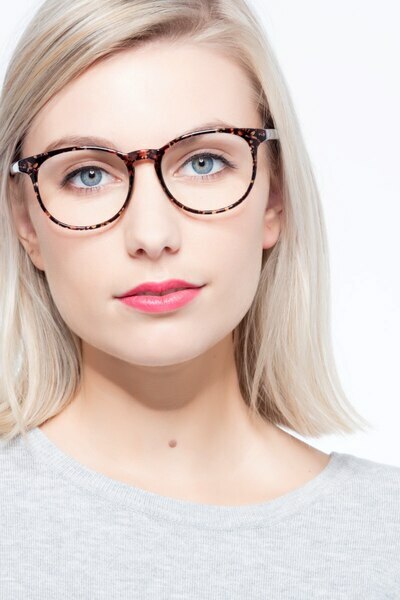 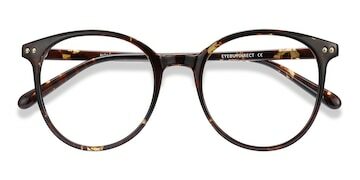 This full acetate frame comes in a semi-transparent floral finish with rounded lenses. 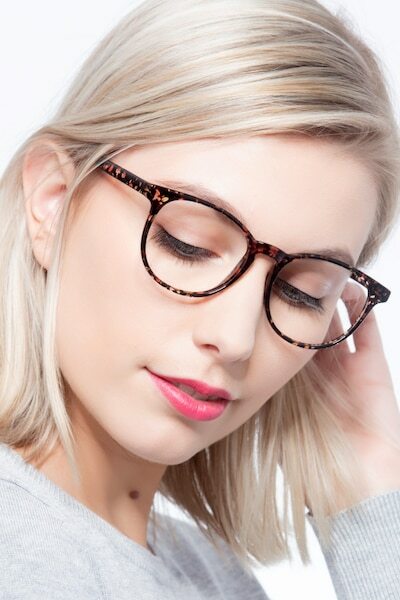 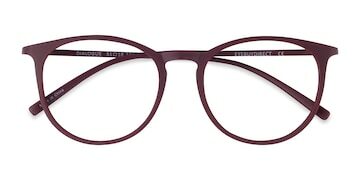 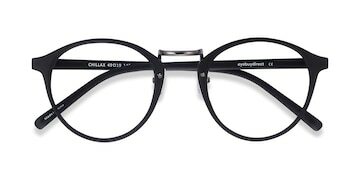 A classic keyhole nose bridge and tipped frame corners add to the overall fun of this look.